And while online fundraising lowers the barriers to fundraising, it doesn’t necessarily make fundraising any easier, so fundraisers and marketers – like you and me – search for secrets to success, rules to follow, and strategies to copy that can make fundraising and email fundraising just a bit easier. Well, I have some good news, that’s what this post is about: how you can raise more money online. So working backward, to raise more money (why you’re reading this) you have to get more people to send emails to and then send them more emails. Now time for some bad news: it still takes work. Back to good news… this post/guide will map out some research-backed tips and ideas for email fundraising today, challenge some assumptions and other current best practices, and give you some frameworks, tools, and tips so you can chart your own path to fundraising and email fundraising success. Yes, this post has a table of contents. Get over it. 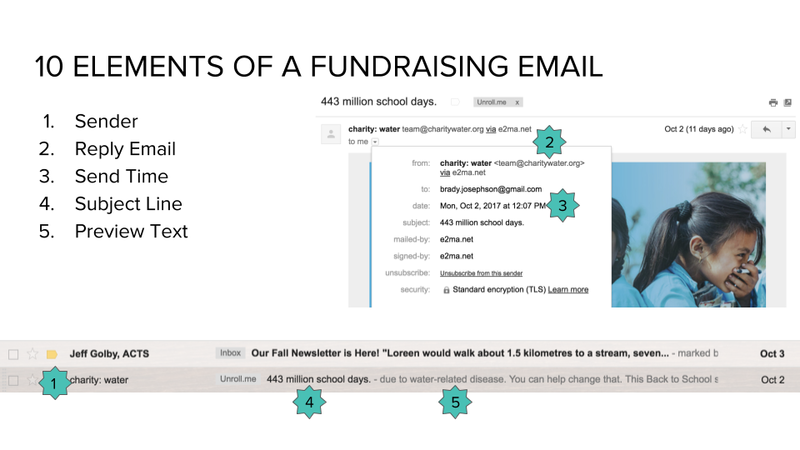 Before we get into the getting, sending, and optimizing, the first question is: why should you care about email fundraising in the first place? I mean, email inboxes are crowded, competitive, and chaotic! 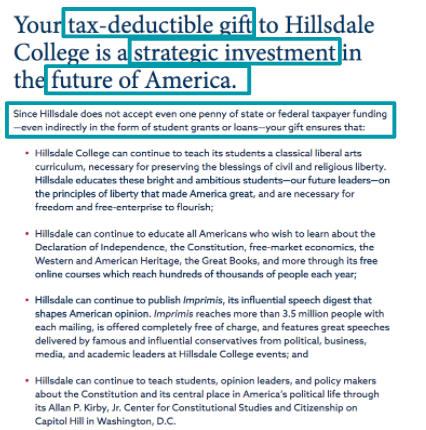 Well, you should care because when it comes to online fundraising email is valuable. Like… very valuable. 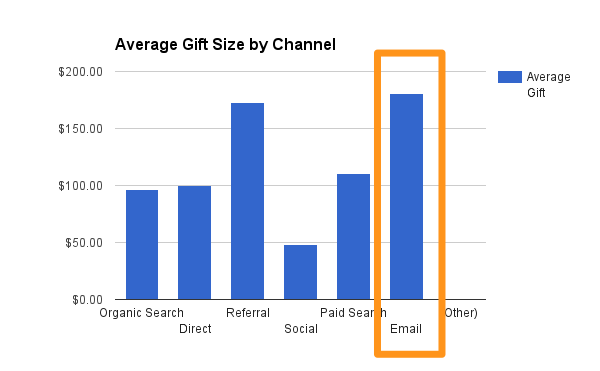 Email often has the largest average gift when it comes to online channels. Email is often one of the top one or two sources of online revenue. The most recent M + R Benchmarks report found that 26% of all online revenue came from emails. 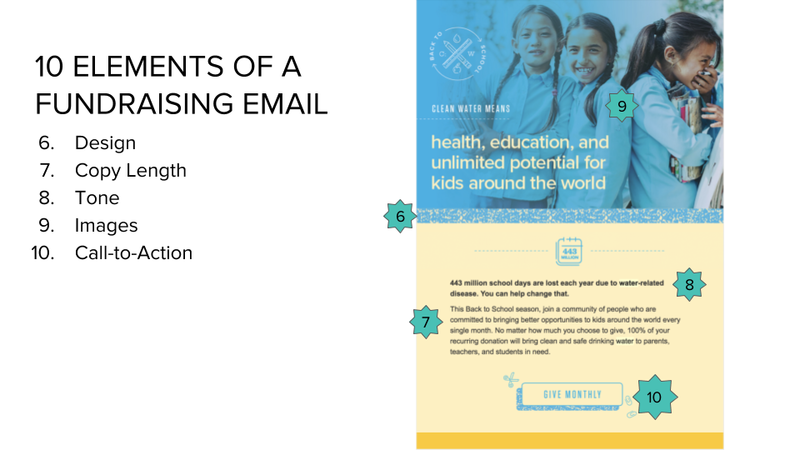 The same report found that for every 1,000 emails that were sent, small organizations (fewer than 100,000 emails on your list) raised $106. 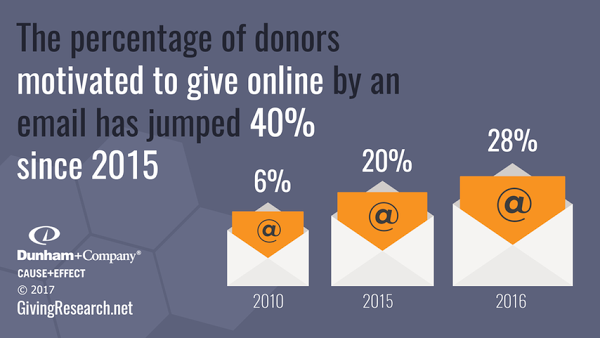 So email is valuable and is growing in value when it comes to online fundraising. 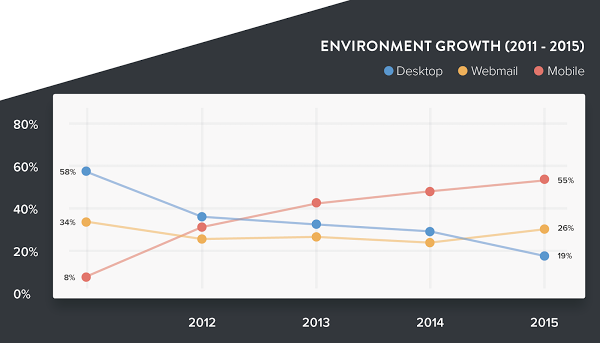 Alright, email is valuable (and growing) and inherently mobile. Let’s look at a few key metrics and benchmarks that we’ll reference as we get into the getting, sending, and optimizing of emails for email fundraising. M + R has a good glossary with more on these metrics (and other ones) here. One big aha moment I had was when I heard NextAfter talk about the marketing funnel being upside down for charities and nonprofits. People don’t naturally fall ‘down’ to make a donation but we have to work harder and pull them up throughout the process. This is by stating and confirming value throughout and eliminating as many barriers and friction points as we can. More on that later but keep this in mind as we go. Before you can send emails to people for engagement and fundraising, you need some people (and emails) to engage with so you need to focus on email acquisition. 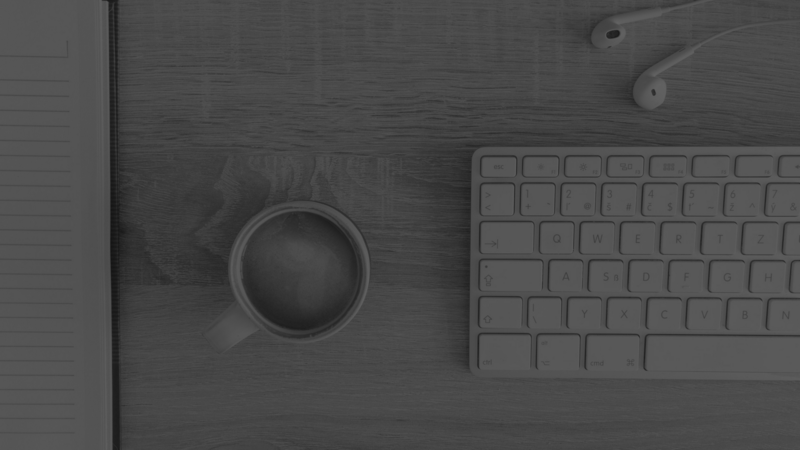 So you have an email list, so what? Who doesn’t? Why should someone give you their email? What can they expect to get when they do? What value do they get in this? If I am your ideal donor, why should I give my email to you, rather than some organization, or not at all. Appeal. Why would I want to signup? Do I like it? Exclusivity. How is this different than any other organization? Can I get this anywhere else? Credibility. Why should I trust you? Do I believe you? Clarity. What will I get when I signup? Do I understand you? 1. Appeal. Why would I want to signup? Do I like it? One of the easier ones, why would someone want to sign up for your emails in the first place? Regular stories? Are you offering them something if they do sign up — like an eBook, special access, or possibly even a physical item? 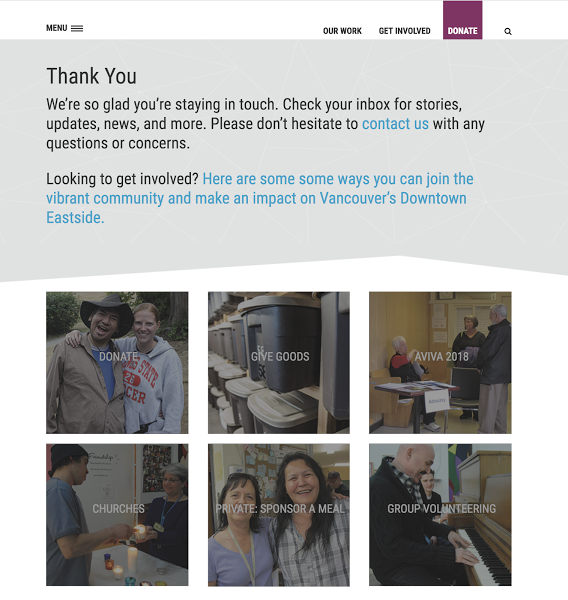 Nothing too crazy but they point out the impact, highlight stories, and give you a sense of how pretty their emails are or will be. 2. Exclusivity. How is this different than any other organization? Can I get this anywhere else? This one may be a bit trickier but think about what makes you and your emails unique compared to others. Is it your level of detail? Topics covered? Personalization? Who they come from? Design? There could be any number of reasons why your emails are unique so think about adding that to your sign up copy. 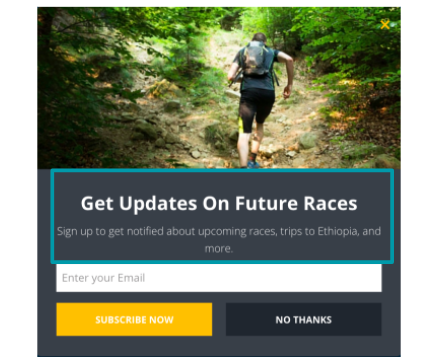 Focusing on the running and races aspect, what makes Run for Water unique, compared to the more general cause lead to 28% more email signups. 3. Credibility. Why should I trust you? Do I believe you? This can be things like if your page and form are safe and secure if you are complying with SPAM laws and how you treat their email/info, or testimonials from other people on your organization and emails. In this test, just by using the student testimonial as opposed to a description of the classes being offered led to an email sign up increase of 20.5%. 4. Clarity. What will I get when I signup? Do I understand you? Slightly different from ‘appeal’, this is less about why they should like it and more about what they get and making that easily understood. 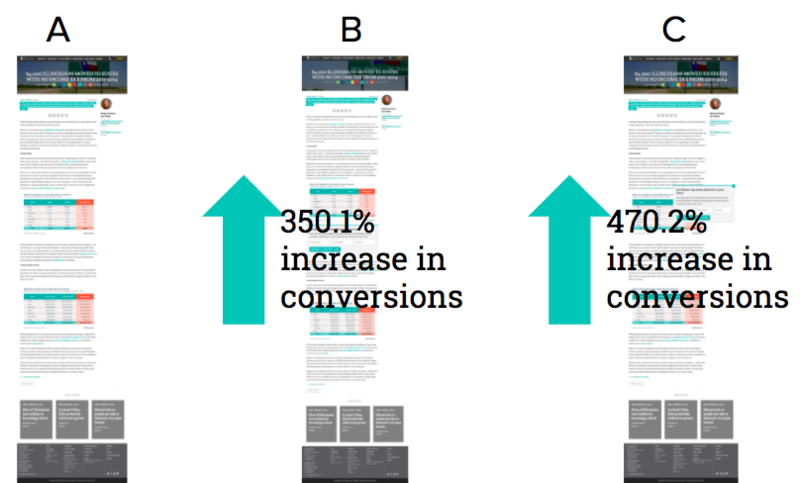 In this experiment, by being more clear, short, and direct with what someone gets or is doing when they sign up for email, they were able to get 80.5% more email signups. Don’t forget… having some answer to the value proposition question is better than having no answer at all. So be sure to start with one of the four ways (or a combination) and test what works best. Alright, you have a value proposition, but where do you put it and how do people find it? You’ll want to drive people from ads, social media, etc. 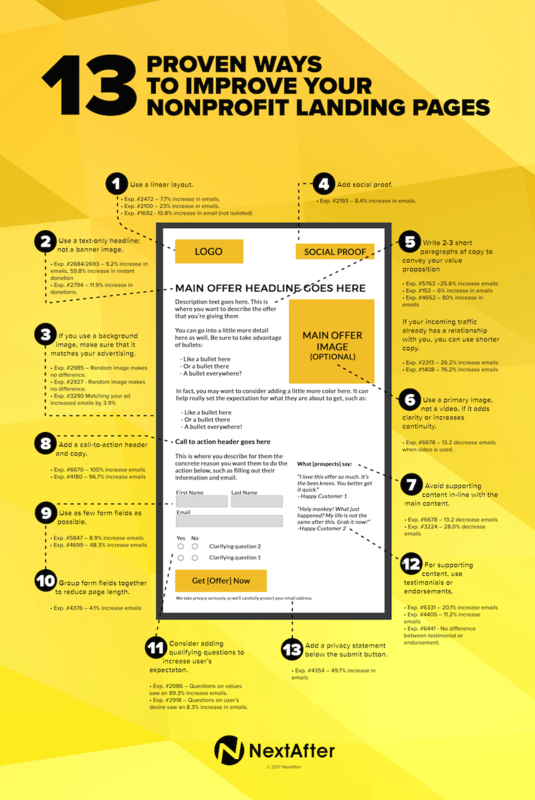 to a landing page and your website. They key takeaway’s from those tips are to show value, only add things (images, videos, testimonials, etc.) that further add value, and remove anything else from the equation. But what about people who came to your site for some other reason? 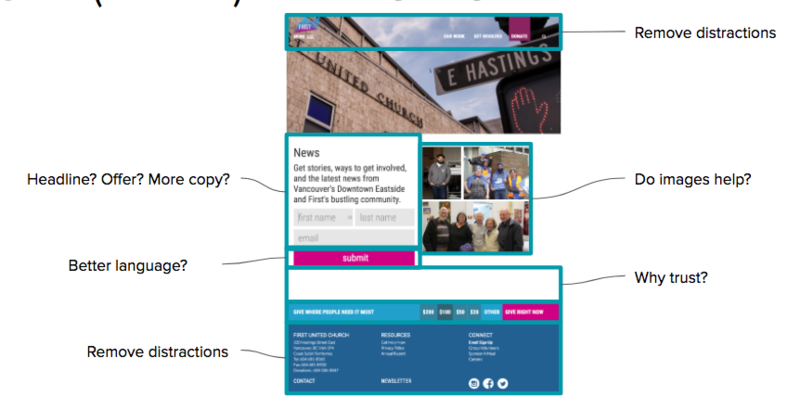 You can do some simple things to make it easier for people interested in signing up to learn more and sign up within your website template and navigation. Again, nothing too crazy but the email signup is at the top of each page and it’s featured in the footer. Having some calls to action to signup for email on pages where that makes more sense than another call to action (donate, volunteer, etc.) is also a good idea. Ah, pop-ups. You may hate pop-ups but they work and as long as you are showing and offering value they shouldn’t be (too) annoying to readers. The in-line offer increased email sign ups 350%. Again, some offer is better than no offer. But having that offer as a pop-up, increased email signups 470%! Having an offer, and even having it on your page or within your website is key, but visitors have to see and engage with your offer in order to qualify it and take action from it and pop-ups do a good job here. I’m a fan of Sumo’s tools and pop up tools in particular. Easy to use, integrates with MailChimp and many other email programs, and you can even split test your versions to see which pop-ups and offers work best. Alright, you’ve presented your offer and someone has signed up to get your emails. Job done right? Wrong! You’ve still got some work to do. 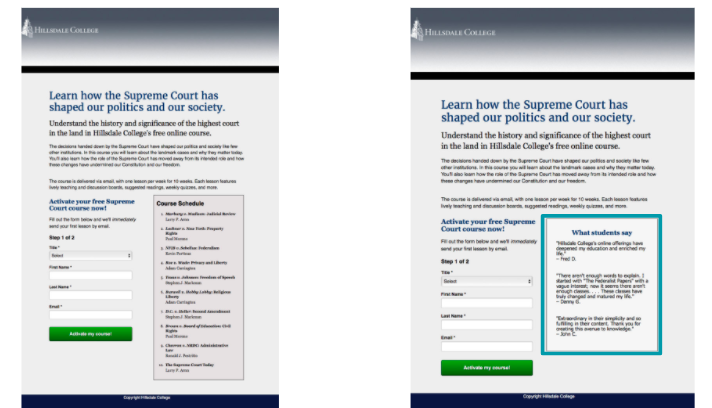 This is the page that they should get directed to immediately after signing up for email. This page should confirm their action and the value proposition and point them towards more information they’d like or actions they could take. As humans, once we take an action we’re actually more likely to take another action on a similar path so offering other actions, like make a donation, is a great thing to offer. 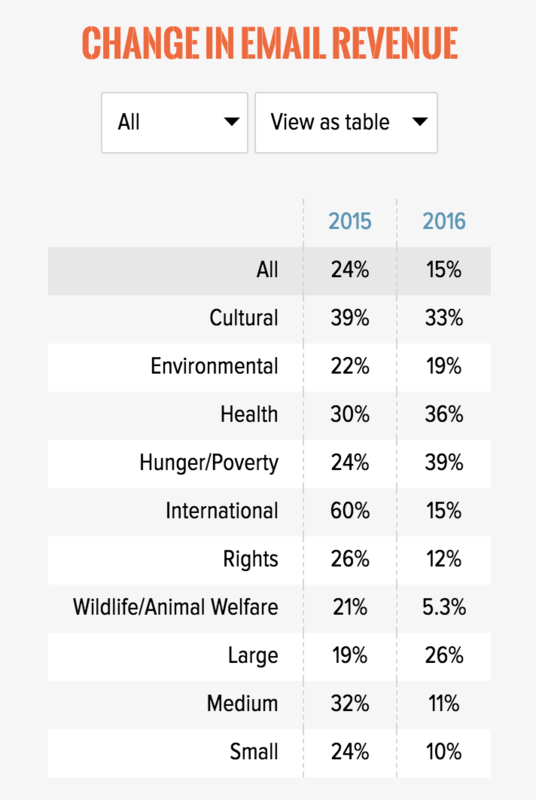 Having a soft call to action to donate after an email signup can convert anywhere from 0.5% to 5% of folks! And that should point to a donation page and, ideally, one that is built for people who just signed up for email from your offer. 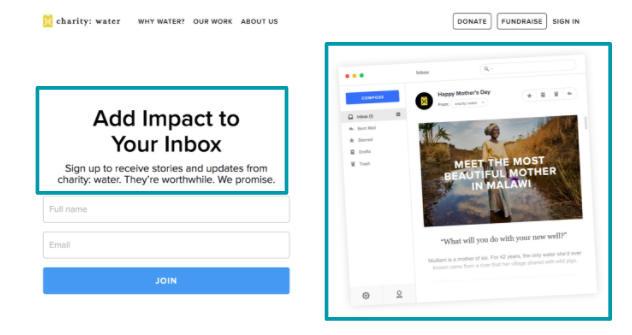 It can be as simple as having a headline, in the Seva example, like, “Thanks for staying connected.” before moving into the donation value proposition question, amount, and form. 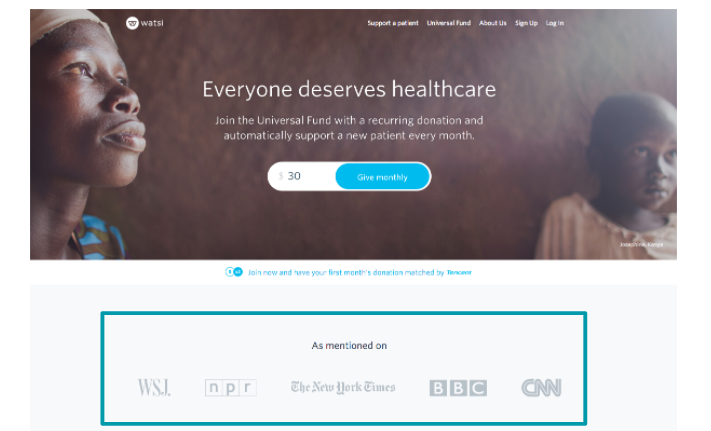 NextAfter calls these donation pages ‘instant donation’ pages and they are one of the three main types of pages (as well as general and campaign) and you can read more about all three here. NextAfter has created a course for Facebook advertising called Turning Facebook Likes Into Donors and it’s full of tips, tools, and resources for creating an offer or value proposition, promoting it, and continuing the engagement when it comes to landing pages, donation pages, and ads. Now you need to ‘welcome’ these folks to your email list and at the very least confirm their signup, thank them, and give them a sense of what to expect from you and your emails. 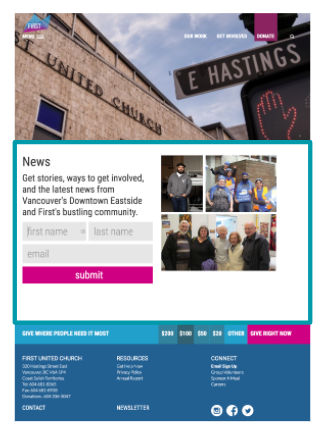 You can’t read the copy here but those four emails all go out within 30 days and share stories, allow people to customize their country updates, talks about getting involved, and shares about the monthly giving program. 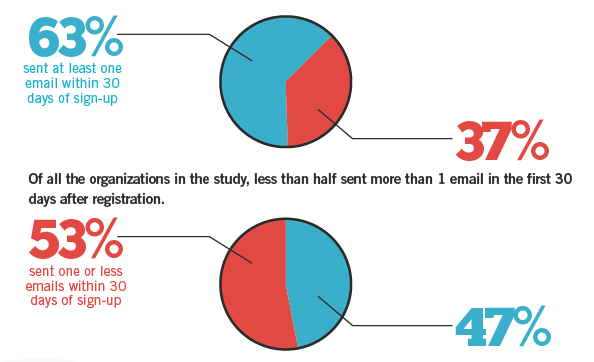 A just over a third of organizations didn’t even send one email in the first 30 days. And less than half sent more than 1 email. With tools today, like MailChimp and Campaign Monitor, creating and running a simple welcome series is easy and should be required. Now you’ve got some signups and you’re welcoming them to your list well, it’s time to keep engaging with emails. 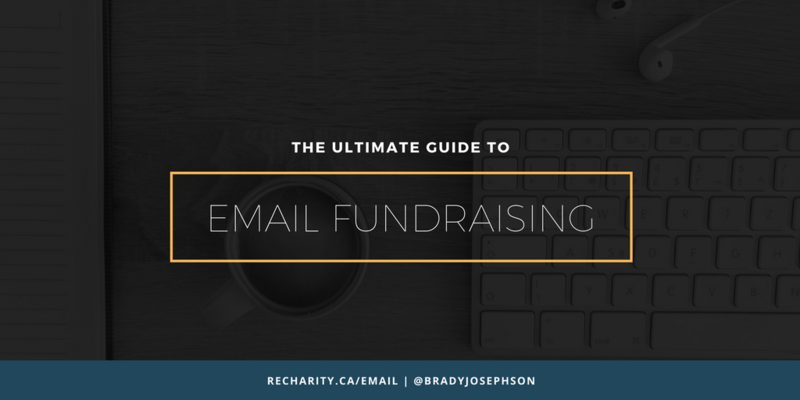 There are many types of emails you can, and should send, but this post/guide will focus on fundraising focused emails. If I am your ideal donor, why should I give to you, as rather than some other organization, or not at all. Appeal. Why would I want to donate? Do I like it? Clarity. What will my donation? Do I understand you? 1. Appeal. Why would I want to donate? Do I like it? For a lot of organizations, there are two levels to the ‘appeal’. The first level is pretty basic and is pretty easy for people to ‘like’. Most nonprofits exist to help people in some way so, again, generally, your mission and work is fairly easy to get behind. The next level though is thinking specifically about your ideal donor and what it is about you that most appeals to them. Again, to best position your offer you have to know your ideal donor so you can speak more specifically to them. This one can be trickier to figure out as there really is a lot of overlap with organizations in terms of what you do and who you serve. But your values or faith perspective could be unique, geography, history, model (careful not to over explain…), or funding model could all be unique. 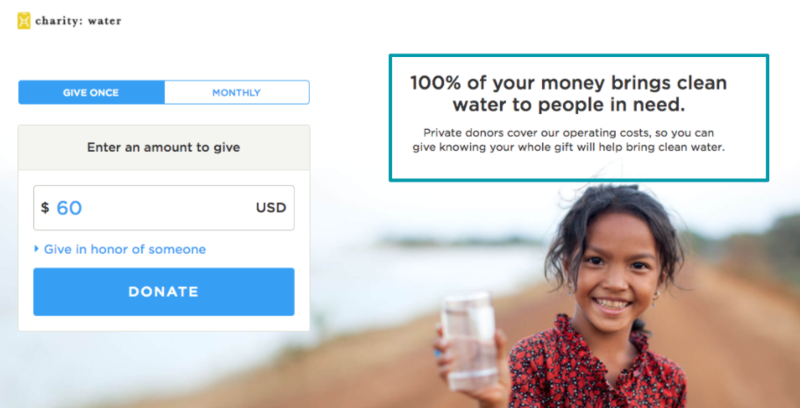 Regardless of if you agree with the 100% model and offer, and while it is becoming more common, it is quite unique to charity: water and is a reason why a donor would give to them compared to some other water charity or not at all. This should be an easier one to answer as pretty much anything better than ‘because I said so’ is good. It can be donor testimonials, social proof numbers, third-party trust marks, or sites/places where you’ve been mentioned. Again, something that helps build trust and credibility is better than nothing! 4. Clarity. What will my donation? Do I understand you? I think this is the biggest area of opportunity and need. Most people should ‘like’ giving to your organization (some more than others) and how you are different isn’t always easy. But everyone should trust you and they should be able to easily understand what problem you solve, how, and the role that they play in that. That’s all in your control with your messaging and is really all donors want to know: how will my donation make a difference and how do I know? It’s not immediately clear is it? That woman could be a scientist, teacher, or farmer. The geography could be anywhere really. And ‘Invest in Sustainable Change’ sounds neat but doesn’t really say anything that is too clear (let alone unique). This organization is actually one of my favourite organizations doing amazing work in education in Rwanda by focusing on and investing in teachers (as opposed to schools and buildings). My wife and I have supported this organization for years so when I see this I fill in the gaps and know what they do, but to someone new, it’s really hard to know what they do. We do this all the time in our copy, landing pages, design, and messages. If you have information, you fill in the gaps and it makes sense. But if you don’t, then it doesn’t. Still not perfect but you know it’s about building homes, which cost $6,000, they have a 100% model, and with the ‘hire local’ language you can assume it’s not North America and it hints at their model. Be specific. Be clear. Be tangible. We can split those 10 elements into two groups: things people see before they open and things they see after. Each and every one of these elements can, and should, be tested at some point (more on that in the next section) but you can see and sort through NextAfter’s living laboratory for email experiments to see what has worked for others and ideas for your own tests. Don’t Forget About Your Donation Page! This means that 98.8% of website visitors do not donate and 82% of people who visit a donation page — presumably because they are somewhat interested in giving — choose not to donate. If you have a great offer that is clear and specific — say for a clean water project in Uganda — and delivered in email, you should reinforce that offer and message on your donation page. That’s offer consistency. If you just point people from a specific offer email to a general donation page, it could get confusing. Donors may start asking ‘wait, what is it again that my donation will do’ or they may even start to trust you less as it could feel as though you sold them on one thing but then are asking for them to do something else. 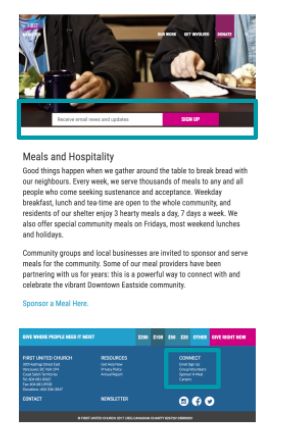 The email and landing page should work together, reinforce the main value proposition, and together complete the donation. Your donation tool probably is responsible for a lot of those friction points (for better or worse) which is why choosing a great tool that’s good for your donors and their experience (not yours or what is cheapest) is so essential. 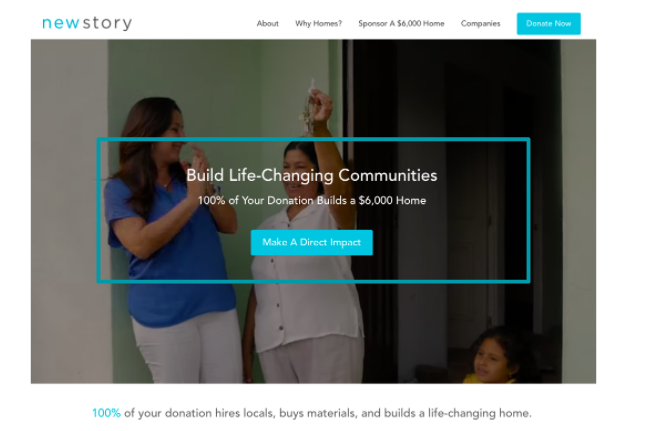 NextAfter has compiled some of their donation page research for general, campaign, and instant donation pages where you can download see their recommendations for donation pages based on real-world experiments (see them all here). I mentioned testing your emails before — your donation and landing pages can and should be tested as well — which might sound intimidating but testing is quite easy if you know what to do. Test your images. Do they really help? 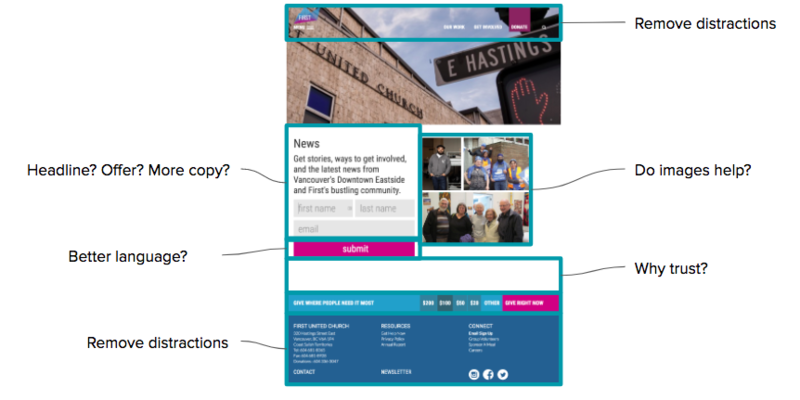 Test your email template. Is it helping or hurting? 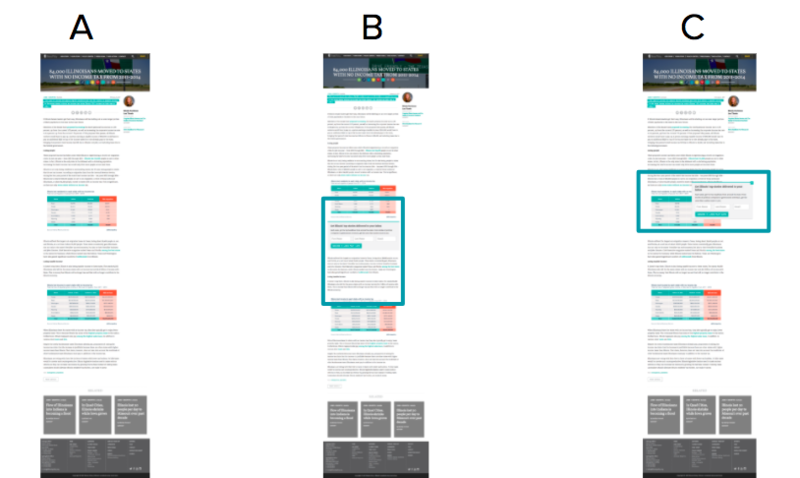 Of those, testing your designed template vs. a plain/simple template is a great one. Using a more personal tone in your email is good as well and figuring out which subject lines ‘work’ is always useful. Document your learning. Share your results. The biggest thing here is making sure you are testing the right metric or conversion goal and that you can actually track it. If you can’t track donations with amounts by source, for example, it’s going to be hard to run good tests. Be sure to avoid vanity metric tests like opens or sometimes clicks when you are really focused on donations. Did you really read this whole thing If so, thanks! If not, I hope you were able to find something of use as you go about getting, sending, and optimizing your emails. Below you’ll find a recording and slides from a presentation on this as well as some lists with more resources for you. Good luck! More Resources. Yes, Even More Resources.